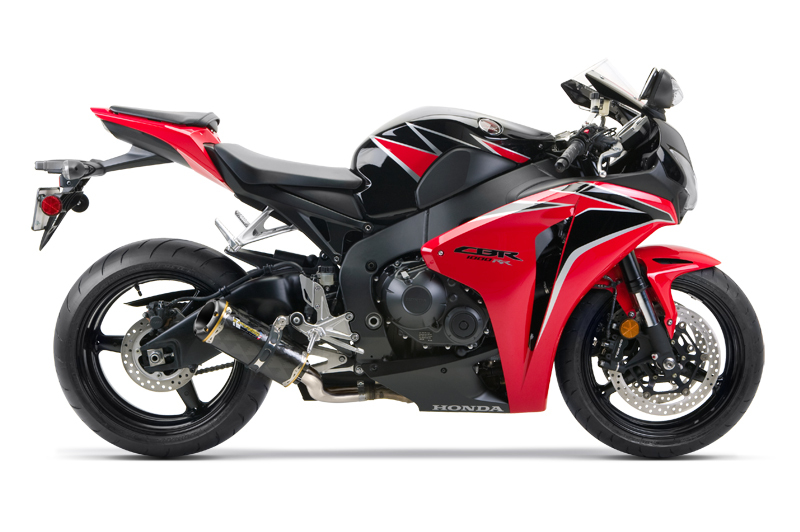 The CBR1000 is known to dominate the strip and tear up the pavement! Unleash your CBR's true potential with a Two Brothers Racing performance exhaust system! You will notice the additional raw power added to your bike by simply installing a TBR exhaust. Pure performance gains are seen and felt in every part of the power-band. We are sure that when you pull this exhaust system out of the box, install it on your CBR1000RR, and feel the performance you will agree that it is Absolute Top Level ™. Containing all this extra muscle is Two Brother’s trademarked V.A.L.E.™ connection system with X-Lite ™ retaining ring and premium M2 Muffler featuring our signature Cast Magnesium End Cap. Two Brothers Racing Top Level exhaust systems have been tested in the highest forms of professional motorcycle racing and in the trenches of true competition. Unparalleled commitment to Top Level design, material quality and construction techniques have propelled Two Brothers Racing products to the forefront of power sports for speed enthusiasts and the motor-driven workforce alike. Designed and built with painstaking care and attention to detail, Two Brothers Racing is proud to release our M2 slip-on exhaust system for the Honda CBR1000RR, available with either aluminum, titanium or high-temp carbon fiber canisters. Please Note:Picture shown is for illustration purposes only, other muffler options available- Choose from Alloy, Carbon Fibre or Titanium canisters.